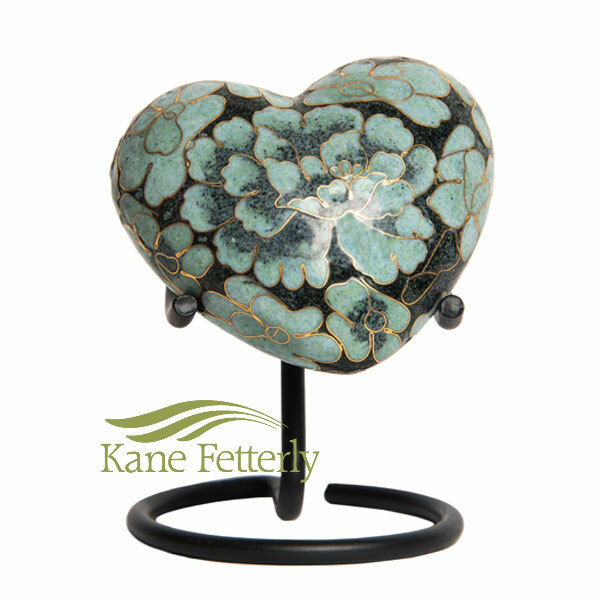 Cloisonné heart featuring sage green enamel floral pattern. Heart shown with stand (stand extra). Engraving not available to personalize the heart.